Home » Blog » Make your own electrolyte drink –without any junk! All of us here at the 14th Street Y are working hard and maintaining a commitment to good health and wellness by keeping up with regular exercise. I see it everyday as I attend and teach classes, peek into the fitness classes in progress, listen to the basketball players tear up the court outside of my office, workout on the elliptical, and pass through the fitness center. It is truly inspiring seeing all the happy, sweaty faces throughout the day! And…it got me thinking about all the electrolytes our members and community are losing through that sweat! Our electrolytes include minerals with an electric charge that act to help us balance our body chemistry, keep our cells perfectly plump and healthy. Without proper electrolyte balance, we face muscle cramping and risks to our blood pressure, breathing, immune function and more. The electrolytes mainly include: sodium, chloride, potassium, calcium, bicarbonate, phosphate, and magnesium. “Hydrate” the instructor says! What is the best way to keep hydrated? Water is great, but a drink with electrolytes is even better. I like to find natural ways to support my body’s health, so I began researching recipes for do-it-yourself electrolyte drinks. Wanting to avoid excess sugar, calories, and artificial dyes and other ingredients, I was super excited to learn that the ingredients, water, coconut water, unrefined sea salt, lime, lemon, and raw/local honey), we’re already in my kitchen and are probably in yours as well! 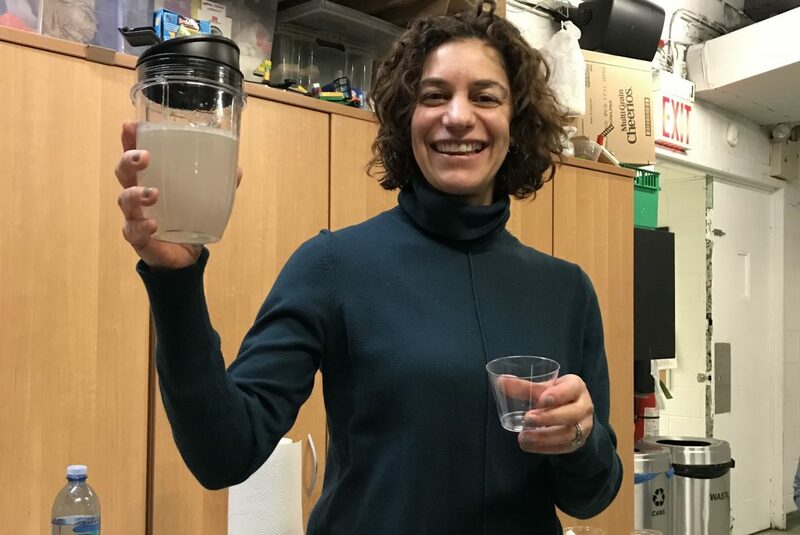 We experimented here at the 14th Street Y at a Make Your Own Electrolyte class, and we found that depending on your taste buds, you can create a yummy, satisfying electrolyte drink that will be perfect for sipping after your next workout. Try a recipe on your own after your next workout and share a recipe that works for you! Here I am experimenting at the Make Your Own Electrolyte class! This drink, which is actually the first recipe above, was delicious!